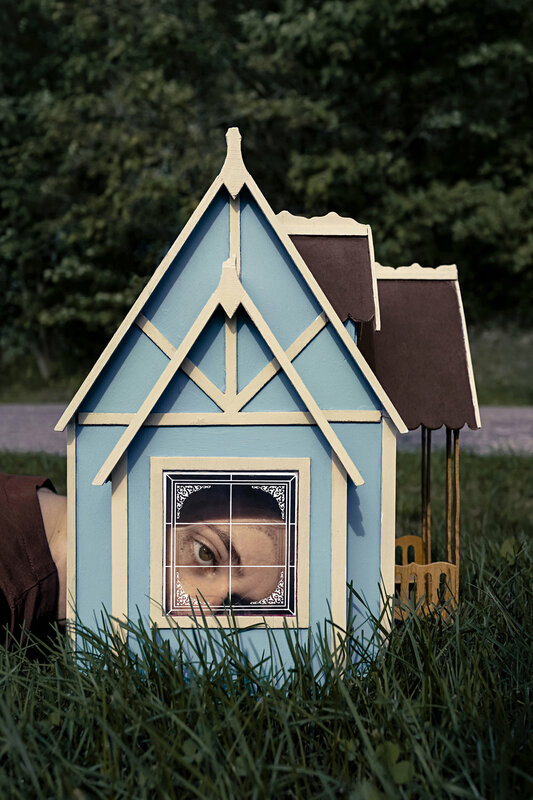 “A House is Not a Home” is a series of self-portraits conveying feelings of isolation and discontent experienced when returning to my hometown in Ohio. The character in this series acts as a hyper-feminine version of myself, exploring an alternate reality where I coexist with a suburban backdrop, yet struggle to psychologically acclimate to gender roles often found in a nuclear family structure. By obstructing my face, I seek to create a character who encapsulates a broad definition of “female hysteria,” a medical diagnosis that was historically used for women who struggled to cope with societal ideals. 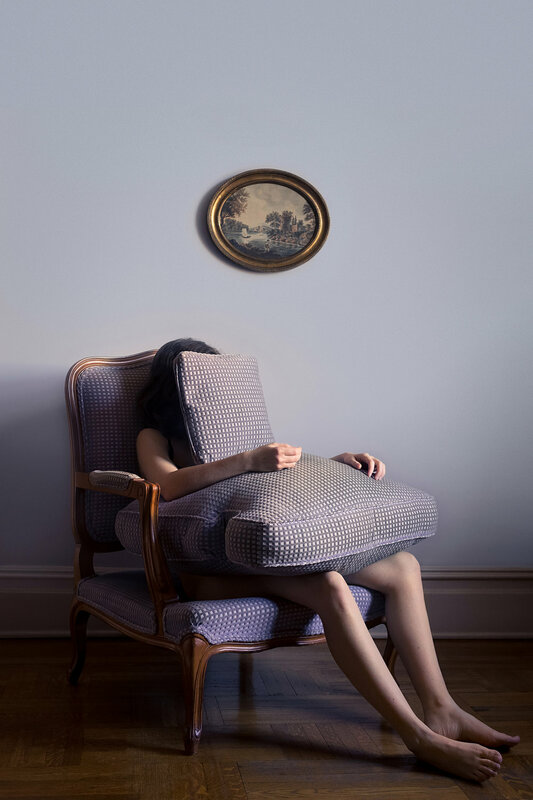 Brooke DiDonato (b.1990) was born and raised in Ohio, now based in New York City. She graduated with a degree in photojournalism from Kent State University in 2012. Her work explores the complexity of human cognition, and what happens when psychological anomalies manifest in reality. By placing viewers in the context of a narrative with no clear beginning or end, she forces them to ask "How did we get here? ", "What happens next? ", And finally, "Can we go on?" Her work has been featured by Vogue.it, PDN, Creative Quarterly, LM [Let's Motiv] Magazine, and iGNANT amongst others. For more from Brooke follow her on Instagram or visit her website.